In the words of Jenny Owen Youngs*, WOW, WOW, WOW! I travelled all over Ireland, the UK and Europe for weddings this year, from old favourites Dublin and London, to Scotland, Cyprus and Italy. I have to say I LOVE destination weddings and I’m looking forward to doing more in 2019. If you’re having one and are in need of a destination wedding photographer, get in touch and let’s plan something beautiful! I attended more photography festivals, workshops and conferences than any other year, and loved every one of them! Islanders in Kilkenny in March; the fantastic Snap Photography Festival in Norfolk in April (it was my second time and I’ll be going back for my third this year; grab your ticket here if you fancy joining me - I promise you won’t regret it! ); Feckin Workshop in Kerry in November, which I cannot recommend highly enough; and then the Learning to Fly Workshop and Awards in Belfast in November. 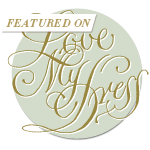 If you’re just starting out in wedding photography, or even if you’ve been at it for years, these kinds of events are invaluable for growing your business, learning new skills, and making friends in the industry. Invest in yourself and your business and sign up for something now! Go go go! I also won some awards! 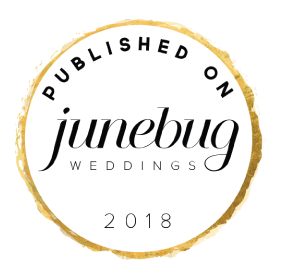 I’m pretty chuffed to have won awards at Islanders and Learning to Fly, as well as receiving an honourable mention in the Junebug Weddings Best of the Best, and being named one of the Best Wedding Photographers of 2018 by Looks Like Film. It was a really special year for me - I worked with some amazing couples and I think we produced some lovely work together; I know that awards aren’t everything but I won’t lie - it does feel good to know that others liked what we made as well! I moved house! And to the middle of nowhere! After two years just outside Dublin, we realised we couldn’t have the life we want if we stayed in that wonderful but terribly overpriced city. We weighed up the pros and cons and came down on the side of Donegal. We’ve been here for just two months but we’re both loving it so far. My family is from Donegal and so it’s always been a special place for me, and I’m so excited to explore more of this beautiful county. I’m also really excited to photograph more weddings and elopements here, so if you’re on the lookout for a Donegal wedding and elopement photographer, I’m your woman! And last but certainly not least, I worked with some of the most wonderful couples. Thank you all so much for choosing me and trusting me, and for making beautiful wedding photography together with me. To all my 2019 couples, I am so excited! LET’S DO THIS! And so to the slideshow. You know the drill - make the tea, make yourself comfortable, make it BIG! Enjoy! *Jenny co-hosts my new favourite obsession, the Buffering the Vampire Slayer podcast, along with Kristen Russo, and I love them both SO MUCH! If you’re a Buffy fan, go check it out, but more importantly, BOOK ME as your wedding photographer as I reckon we’d get on famously!